To cope with a widening shortage of teachers, California school districts are hiring an increasing number of teachers with “substandard” permits and credentials, as well as relying on short-term substitute teachers, according to a new report. Teachers with these permits and credentials make up a small percentage of California’s nearly 300,000-strong teaching force, but the number of them has nearly doubled over the past two years, to more than 7,700. They made up a third of all new teaching credentials issued in the state last year. “It may be necessary in the short run, but it is not a preferred strategy in the long run,” said Linda Darling-Hammond, president of the Learning Policy Institute, who co-authored the report with Roberta Furger, Patrick Shields and Leib Sutcher. She said that if not addressed the shortage “will seriously hamper the state’s effort to implement more challenging new learning standards.” The state is introducing new Common Core standards in English and math, and the Next Generation Science Standards which demand new approaches to teaching, as well as new learning strategies on the part of students. Teachers with intern credentials typically get instruction in teaching for a few weeks in the summer before they start their teaching, and then are expected to get their credential by taking night, weekend, or summer classes over one to two years. Especially worrisome is that the students most affected by the shortages are those in high-poverty and high-minority schools, as well as English learners and special education students – precisely those students who could benefit from the most experienced and qualified teachers. Teacher shortages can result in larger class sizes and cancellation of courses. Districts may also fill vacancies with substitute teachers who do not have “standard qualifications,” and who according to state law must be replaced after 30 days, often by yet another substitute teacher. 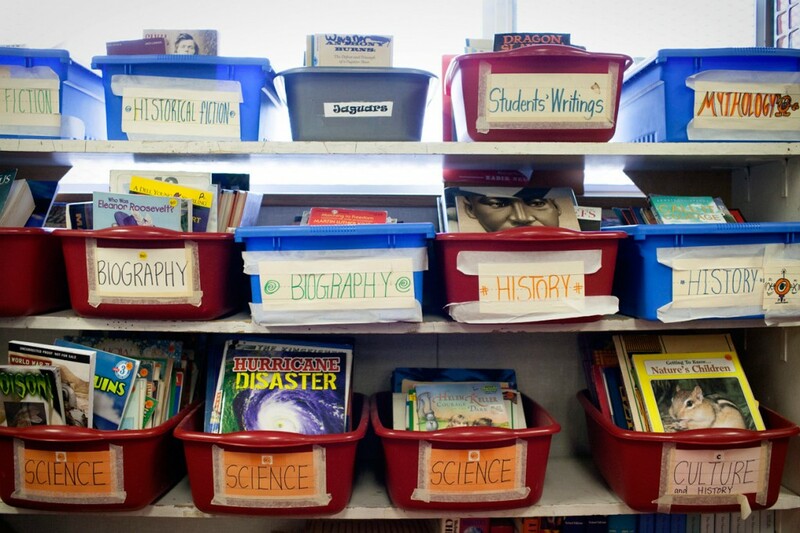 “All of these strategies undermine students’ access to quality instruction,” the report says. Just to bring California student-teacher ratios to pre-recession levels would require the state to hire an additional 60,000 new teachers, the report says. An even more daunting task is getting California’s student-teacher ratios to the national average, which would involve hiring an additional 135,000 teachers. A particularly disturbing feature of the teacher employment landscape is that the number of new teachers going into math and science has declined, despite ongoing efforts in California and nationally to attract teachers in STEM (science, technology, engineering and math) fields to the profession. For example, the number of new credentials awarded to math teachers has dropped by nearly a third (32 percent) over the last four years. Those awarded to science teachers declined by 14 percent. During the same period, the number of underprepared math teachers increased by 23 percent, while the number of science teachers in this category increased by 51 percent. These include reinstating several teacher recruitment and retention programs that have been phased out over the past decade or more, often for budgetary reasons. Examples of these are the CalTeach program, a one-stop information, recruitment and referral service for prospective teachers, as well as the Governor’s Teaching Fellowships and the Assumption Program of Loans for Education. But the report also notes the huge challenge of getting students interested in teaching in the first place. It cites a recent survey of college-bound students, only 5 percent of whom were interested in going into teaching, a decline of 16 percent between 2010 and 2014. To get more prospective teachers into the pipeline, districts must try to encourage young people and others to go into teaching in their own communities through high school career pathway programs like the Education Academy at Skyline High in Oakland. To reduce attrition, all beginning teachers should have access to support and mentoring programs like the Beginning Teacher Support and Assessment program, the report recommends. Increasingly, districts will have to consider offering incentives for teachers to stay or re-enter the profession, including providing mortgage guarantees in areas of the state with high housing costs. Administrators will also need training to improve teaching conditions in schools, which would help reduce the number of teachers abandoning the classroom. 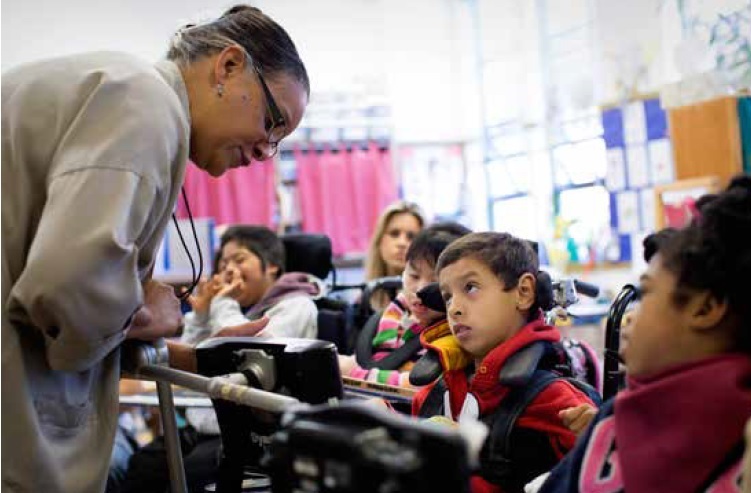 “California must take purposeful steps now if the state is to avoid more acute, widespread shortages of teachers,” the report concludes. Darling-Hammond said she believes California has the capacity to tackle the issue. “But whether it has the political will is a good question which we will see the answer to in the coming months,” she said. The report was released at a conference in Sacramento on January 19, 2016, co-sponsored by the Learning Policy Institute, Policy Analysis for California Education and the American Institutes for Research. Provisional internship permits are used to fill an anticipated need for which the district has not been able to find a fully qualified candidate. Intern credentials are designed to provide alternative pathways into the teaching profession. They typically allow teachers to teach after a few weeks of summer preparation as long as they enroll in a teacher preparation program during the school year and work toward getting a preliminary credential. Short-term staff permits allow a school district “to fill an acute staffing need when local recruitment efforts have been made but a fully credentialed teacher cannot be found.” School districts can request short-term staff permits when they need to fill a teaching staff position immediately, for example if a teacher unexpectedly quits or becomes ill. Emergency substitute teaching permits allow prospective teachers to teach for up to 30 days for one teacher in any preK-12 classroom.